Arbor: 5/8" - 11; DIA. : 4-1/4"; Grit: 40; MaxRPM: 3,800; Width: 2"
Walter Surface Technologies COOLCUT™ Flap drums are built to be used as a first step in providing light metal removal and are perfect for creating a graining finish. 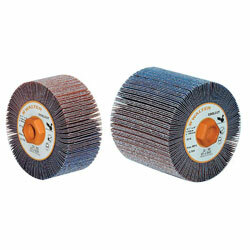 For use on Aluminum, Stainless Steel, Steel and Copper Alloy applications. Also good for shaping and deburring. Produce a consistent finish without discoloring the metal surface, while extending the life of the product. Will not load or glaze, helping to reduce finishing time. 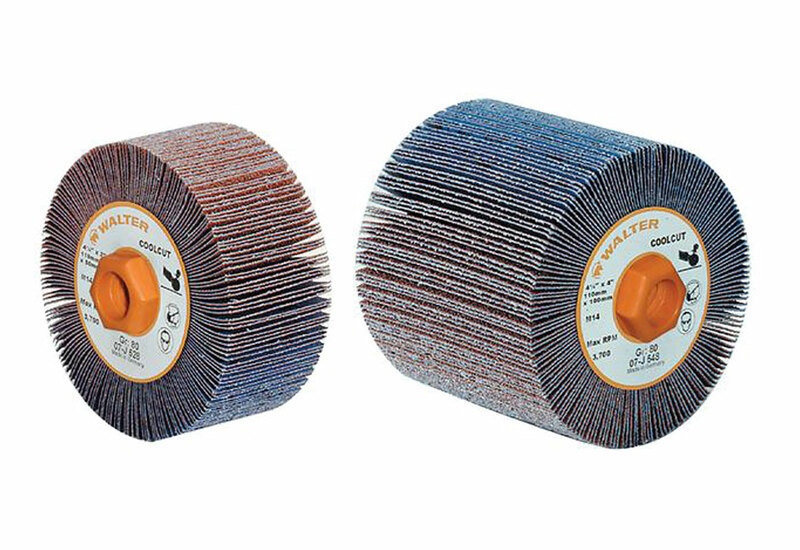 Made of industrial quality abrasive cloth, these flap drums are suitable for light material removal, shaping, deburring and leaving a graining finish.